Which one image makes you relate to Dracula? After all he is a huge market attraction for Transylvania and Romania, he has since his book became popular helped make Transylvania a tourist attraction for the tourist with a little... blood lust. The book by Bram Stoker allowed the idea of Dracula to "live" on in the Western world, and when money comes in then people want to follow it. Yet, the man, the person who Stoker based the character on is something of a mystery. In many ways he is not as important a figure as what some will make him out to be. At best a exiled Prince, and at worst a bloodthirsty warlord. Vlad Tepes is however all the more famous due to Stoker's novel. This image isn't what one would normally think of as Dracula, after all, it has a different garb, more of a small prince, and one who had seen much intrigue and murder. 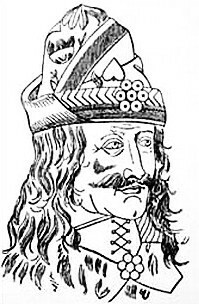 Tepes was a younger son of a Prince of Wallachia and was not a Count of Transylvania, but he lived large parts of his life in Transylvania, so perhaps he is more linked to his exiled land than one would think. We like to think of Vlad Tepes as a great warrior. This is only partly true, he fought against the Ottoman Empire, but he also fought against the Christian Kingdom of Hungary. He was imprisoned by both groups, and would learn the art of fear from the time he spent in the Ottoman Empire. Many people think Vlad Tepes was powerful. In the sense he was born a prince, this is true as many people didn't have any power and were living much poorer and forgotten lives. History doesn't record them as much. Tepes could be viewed based on some writing has a bully, and this was also based upon the writings of various people who lived and were targeted by him. The people with whom he protected view him differently and both played a part in how we see Count Dracula. These are images of Vlad Tepes, and the one just above is possibly the more interesting of the two-- this image shows a bit of his name. Vladislavs Dracula Wallachia Weywoden. 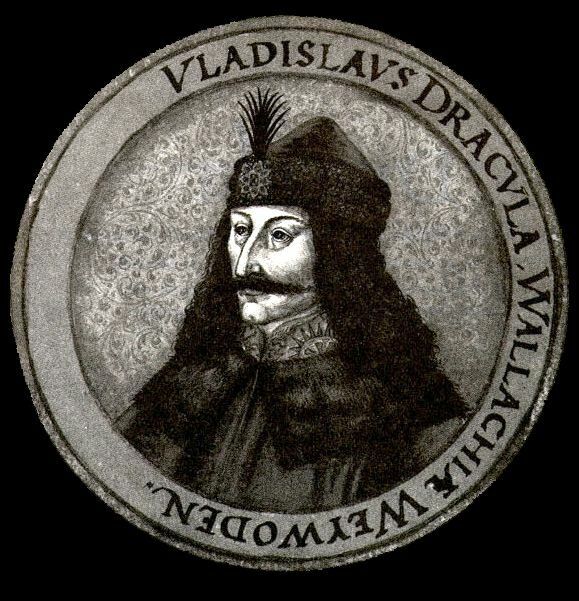 Because Vlad Tepes had been a part of the order of the Dragon, he had the name of "Dracula" at the end of his name. Vlad Tepes is someone who made Dracula possibly, but of course he was not the only person. There are others who influenced the person of Count Dracula- notably a distant cousin of Tepes, a woman who would bath in blood to keep her youth. The power of Dracula is part of both history and fiction, and the two have helped a country with money and a long term tourist attraction. Bran Castle, for example, is more linked with Count Dracula and Jonathan Harker, the two fictional characters who conversed in a castle similar to Bran Castle. Most people don't think of these images of Dracula being Dracula, and they also see him not as a man- rather, a legend. That is the power of writing and of history.